All eyes will be on Houston, the home of human spaceflight, as the world celebrates the 50th anniversary of the Apollo 11 lunar landing and Neil Armstrong’s first steps on the Moon on July 20. Space Center Houston is the perfect setting to celebrate all things Apollo 11 this summer – especially from the anniversary of the Apollo 11 blastoff on July 16 through the mission’s conclusion when the astronauts safely splashed down back on Earth on July 24. Below is a list of events for the public to enjoy planned for July 16-24. Space Center Houston members will have early access to tickets. Lunch with Apollo Flight Controllers (12 p.m.): Attendees will be seated at a table to enjoy a delicious lunch with an Apollo-era flight controller and have the opportunity to talk with them about their experiences, memories and learnings. Public price: Adults - $69.95, Child - $35.95. Member price: Adult - $40, Child - $11. NASA Tram Tours featuring Apollo Mission Control Center at NASA Johnson Space Center: The only way to see what goes on behind the scenes at NASA Johnson Space Center (JSC) is through Space Center Houston. The center’s NASA Tram Tours feature an opportunity to visit the Apollo Mission Control Center, a national historic landmark. From this iconic room, the NASA team exercised full mission control of Apollo 11 from leaving the launch pad at the Kennedy Space Center to splashdown in the Pacific Ocean. Just in time for the 50th anniversary of the Apollo 11 mission, the room has been restored back to how it originally looked in the 1960s. Visitors this summer will be among the first to see the restored control center and feel like they are stepping back in time as they watch the original consoles operate and enjoy an immersive audio-visual experience that will allow them to witness the pivotal moments of the Apollo 11 mission in the same space where they happened. Price: Included with your general admission ticket to Space Center Houston. Availability will be limited, so timed tickets will be offered on a first come, first serve basis. Mission Briefings on the Apollo 11 mission: Visitors can enjoy informative briefings about important activities involved with Apollo’s historic flight, including some of the important mission tasks accomplished on the journey. Price: Included with your general admission ticket to Space Center Houston. Apollo 11-themed Pop-Up Science Labs: These hands-on workshops let kids explore science and engineering in fun and educational ways. Experience opportunities to be part of science and gain a better understanding of what it took to send humans to the Moon and keep them safe throughout their journeys. Price: Included with your general admission ticket to Space Center Houston. Lunch with the Children of Apollo (12 p.m.): Dine in style while enjoying a panel discussion featuring children of Apollo-era astronauts and flight controllers sharing memories and reflecting on their experiences growing up with fathers who played pivotal roles in the Apollo era mission. The panel will include Jeff and Barbara Lovell, Amy Bean, Tracy Cernan Woolie and Gwen Griffin (moderator). Public price: Adult - $69.95, Child - $35.95. Member price: Adult - $40, Child - $11. Space on Screen + Dinner: Armstrong (6 p.m.): This special edition of Space Center Houston’s monthly space-related film series, Space on Screen, will feature dinner and the brand new documentary, “Armstrong.” Come enjoy dinner in Astronaut Gallery, among astronaut flight and space suits, as well as space photos and artwork. Dramatic, moving and deeply human, “Armstrong” offers the definitive life story of Neil Armstrong: from his childhood in Ohio to his first steps on the Moon and beyond, using home videos shot by the man himself and unseen footage from NASA. Price: Adult - $39.95, Child - $24.95. “Apollo 11 50th Live at Space Center Houston” Sponsor Activity Tent: This large tent will be full of activities, informative displays, and giveaways for our guests to enjoy provided by the companies generously supporting Space Center Houston’s “Apollo 50 Live” celebration. Price: Included with your general admission ticket to Space Center Houston. Dinner and Special Presentation with Apollo Era Flight Director Gene Kranz: The Apollo 11 Landing: Legendary NASA flight director Gene Kranz will provide a special talk reflecting on his experience at Apollo Mission Control during the Apollo 11 landing. Don’t miss this rare opportunity to hear Kranz’s first-person account of one of the most historic moments in human history. Price: To be determined. This will be a ticketed event with limited capacity. 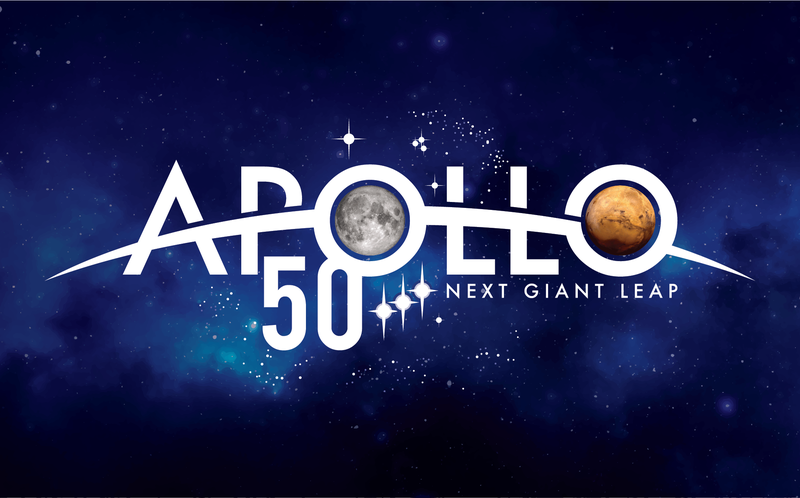 8:30 a.m. – Opening ceremony to kick off a day full of celebration featuring a host of notable and inspiring speakers from the Apollo era and today. NASA Tram Tours featuring Apollo Mission Control Center at NASA Johnson Space Center: The only way to see what goes on behind the scenes at NASA Johnson Space Center (JSC) is through Space Center Houston. The center’s NASA Tram Tours feature an opportunity to visit the Apollo Mission Control Center, a national historic landmark. From this iconic room, the NASA team exercised full mission control of Apollo 11 from leaving the launch pad at the Kennedy Space Center to splashdown in the Pacific Ocean. Just in time for the 50th anniversary of the Apollo 11 mission, the room has been restored back to how it originally looked in the 1960s. Visitors this summer will be among the first to see the restored control center and feel like they are stepping back in time as they watch the original consoles operate and enjoy an immersive audio-visual experience that will allow them to witness the pivotal moments of the Apollo 11 mission in the same space where they happened. Price: Included with your VIP ticket to the Apollo 11 50th Live at Space Center Houston” celebration. This tour will only be available to Golden VIP and Golden Deluxe VIP ticket holders on July 20. “Apollo 11 50th Live at Space Center Houston” Sponsor Activity Tent: This large tent will be full of activities, informative displays, and giveaways for our guests to enjoy provided by the companies generously supporting Space Center Houston’s “Apollo 50 Live” celebration. Price: Included with your Apollo 11 Commemorative July 20 admission ticket to Space Center Houston. Apollo 11-themed Pop-Up Science Labs: Moon These hands-on workshops let kids explore science and engineering in fun and educational ways. Experience opportunities to be part of science and gain a better understanding of what it took to send humans to the Moon and keep them safe throughout their journeys. Price: Included with your general admission ticket to Space Center Houston. Lunch with Apollo Flight Controllers (12 p.m.): Attendees will be seated at a table where they will enjoy a catered lunch with an Apollo-era flight controller, where they will have the opportunity to talk with them about their experiences, memories and learnings. Public price: Adult - $69.95, Child - $35.95. Member price: Adult - $40, Child - $11. Apollo 11 Mission Splashdown Party (6-10 p.m.): This fun, 1960s-themed evening bash will feature live music and activities as attendees are surrounded by Space Center Houston’s extensive collection of Apollo-era artifacts, as well as lots of interactive exhibits and activities featuring the exciting present and future of human space exploration. Food and drink will be available for purchase. Price: Included with General Admission. This will be large scale community event.